A little over 30,000 residents call the city of Apopka home, so you can enjoy the feel of a small town with the amenities of a big city within your reach. Apopka is located in the heart of Central Florida, the city of Apopka is only 15 minutes from Orlando, strategically situated within minutes of countless business and recreational opportunities. Known as the “Indoor Foliage Capital of theWorld,”Apopka has a rich history and it’s one worth exploring. 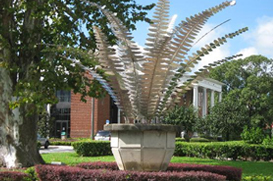 The Apopka Historical Society and Museum of the Apopkans is a great place to start. Discover photographs and items from the past at this museum to uncover hundreds of years of history. And, to cure your nostalgia, head over to the Mt.Dora Museum of Speed to check out some restored vintage cars and memorabilia. The Museum has an inventory of cars for sale as well.